The North/south heifer price differential narrowed to 25.7c/kg for the week ending January 10, 2016, figures from the Livestock and Meat Commission (LMC) show. 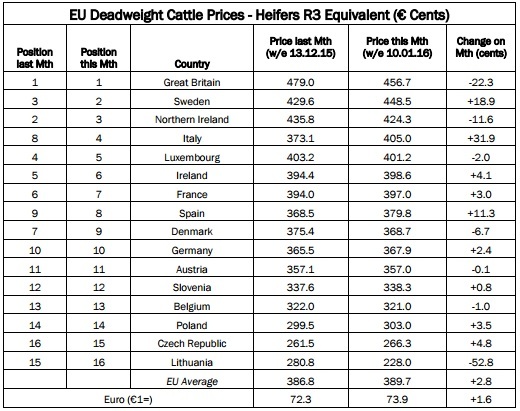 Ireland holds sixth place on the EU deadweight heifer price league table while Northern Ireland holds third. 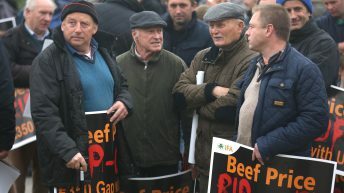 For the week ending January 10, the average R3 heifer price in the Republic was 398.6c/kg – an increase of 4.1c/kg from the 394.4c/kg paid in the week ending December 13, 2015. This placed it 8.9c/kg above the EU average heifer price and 25.7c/kg lower than the equivalent price in the North. 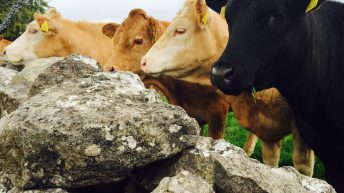 In Northern Ireland, for the week ending January 10, the average R3 heifer price was the equivalent of 424.3c/kg, down 11.6c/kg from 435.8c/kg in the week ending December 13, according to the LMC. 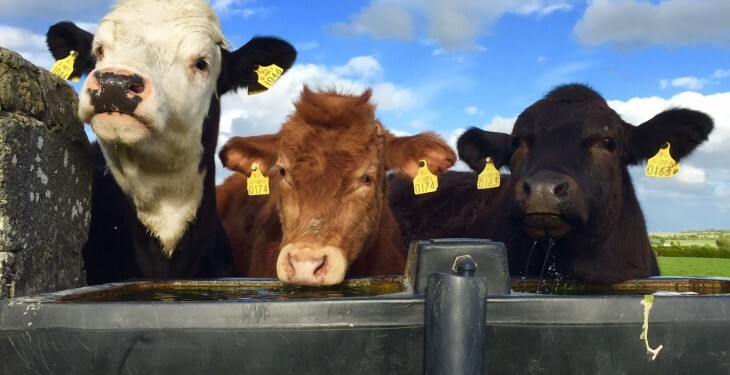 The North’s R3 heifer price was 34.6c/kg higher than the EU average in the week ending January 10 compared to 49.0c/kg in the week ending December 13. 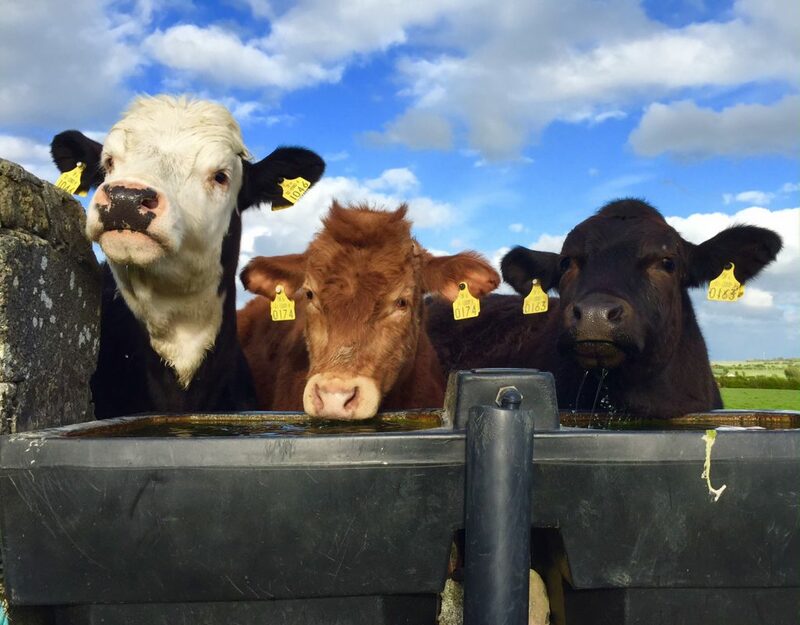 Looking to Britain, which retains the top spot on the league table, for the week ending January 10, the average R3 heifer price was the equivalent of 456.7c/kg. According to the LMC, this was a decrease of 22.3c/kg compared to week ending December 13 when it was the equivalent of 479.0c/kg. The British/EU price differential narrowed from 92.2c/kg in the week ending December 13 to 67.0c/kg in the week ending January 10, 2016.